The 2018 Public Library Accreditation process opened on July 1. Fifty-eight Nebraska public libraries are due for re-accreditation in 2018. Fifty-six additional public libraries that submitted their annual statistics for the Public Library Survey are also eligible to apply for accreditation. These two groups of libraries have been contacted with details on how to initiate and go through the process. Accreditation offers a measure of quality of a community’s library services. Through the questions in the Application Form, libraries are measured against guidelines developed by a task force of professional librarians. The guidelines are community-based, so that each library can determine its own priorities based on local community needs. To help libraries address how the library will serve the unique needs of its own community, libraries applying for accreditation also must submit a Community Needs Response Plan. Completed Accreditation Applications and up-to-date Community Needs Response Plans are due October 1. The Applications and Plans will be evaluated and libraries will be informed of their new Accreditation Level, which is valid for three years, by December 31. There are three levels of Accreditation: Bronze, Silver, and Gold. To see the complete list of all accredited Nebraska public libraries, check the Accreditation Status webpage. For any questions about Nebraska Public Library Accreditation, contact Christa Porter, 800-307-2665, 402-471-3107. NOTE! Due to the Independence Day holiday, this NCompass Live will be on Tuesday, July 3. It will be at the usual time, from 10am – 11am Central Time. 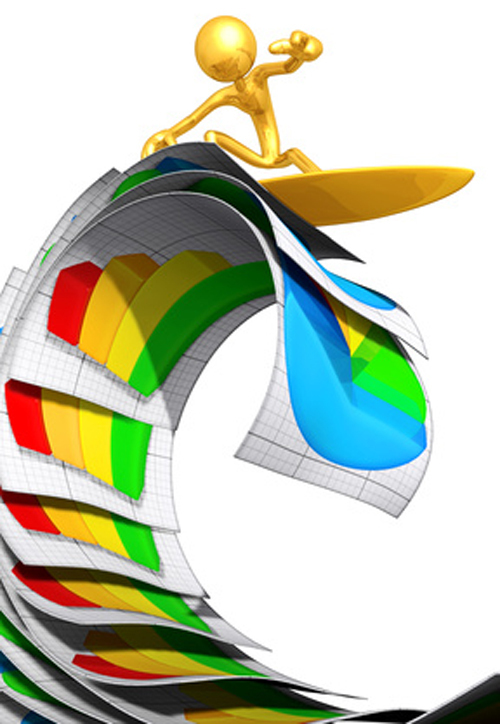 Join us for the next NCompass Live, ‘Collection Development Made Easier with Ingram’, on Tuesday, July 3, 10:00am – 11:00am CT.
Collection development can be a daunting task. There is so much out there, and reading piles of reviews takes time that you don’t have to spare. In this session, Ingram Library Services will share some resources that can help answer the question ‘How do I know what to buy?’. The HINT Program, High Interest New Titles, provides a list of the top 25 titles that other public libraries have on order that you have not yet ordered. Curated Collection Lists and Standing Orders/New Title Notifications can also help you find the best books for your library. Presenter: Kevin Davenport, Inside Sales Representative, Ingram Library Services. NCompass Live is regularly broadcast live every Wednesday from 10am – 11am Central Time. Convert to your time zone on the Official U.S. Time website. The show is presented online using the GoToWebinar online meeting service. Before you attend a session, please see the NLC Online Sessions webpage for detailed information about GoToWebinar, including system requirements, firewall permissions, and equipment requirements for computer speakers and microphones. Sign up today for the next NCompass Live, ‘The 2018 Public Library Accreditation Process’. Join us on Wednesday, June 27, from 10-11am CT, to hear about the Nebraska Public Library Accreditation process, and get a head start if your library is up for re-accreditation in 2018. If your library is not currently Accredited, you’ll want to attend this session to learn more about the process and explore the possibility of becoming an Accredited Public Library. You will see how the application form works, relate that process to the required Community Needs Response Plan, and learn why Accreditation is important and what it can do for your library. This presentation will be of special interest to public library directors and public library board members. Join us for the next NCompass Live, ‘Rising to the Challenge: Using the Aspen Institute Report and Action Guide for Strategic Planning’, on Wednesday, June 20, 10:00am – 11:00am CT. The 2018 state aid calculations are now complete. State aid letters have been mailed and payments are in process. In the meantime, you can read (in general) about state aid and how it is distributed. Here is a list of the state aid distributions for 2018 (including this year’s formula). Finally, here is a link to a press release you can customize and use for your particular library. Here is also a list of the libraries that will be receiving Dollar$ for Data payments. For those libraries, you are now eligible to apply for accreditation when the cycle opens this summer. For libraries that aren’t accredited, now may be the time to consider the accreditation process, as you would then be eligible for state aid next year. You also need to submit your public library survey online via Bibliostat. The next public library survey collection cycle begins in November. The 2017 public library survey data is now available on the NLC website. This is preliminary data (meaning that it has not yet been certified by IMLS) so keep in mind that it is subject to change. There is also a data dashboard that summarizes the data. Thanks to all of you who submitted your statistics. Historical data (back to 1999) is also available on our website. The next survey cycle begins in November, but you should be collecting those statistics now. If you are a new library director, check out the Bibliostat guide. Last week, USAC released the first two Waves of Funding Commitment Decision Letters (FCDLs) for E-rate Funding Year 2018. Congratulations to all Nebraska schools and libraries funded in Waves 1 and 2! Starting with the 2018 Funding Year, USAC is introducing a new format for FCDLs. Your FCDL will be attached as a printable PDF to the email notifying you that your FCDL has been issued. It will also be available in the Notifications section of your EPC account, but you are no longer required to log into your EPC account to view it. USAC has posted a video walkthrough on the Trainings & Outreach area of the USAC website, demonstrating the new FCDL format. As soon as you receive your FCDL, you can go on to the next step in the E-rate process, filing your Form 486. This form is submitted in your EPC account. Information and instructions on how to do that can be found in this USAC News Brief. If you are not in Wave 1 or 2, don’t panic! There are many more weekly Waves to come as USAC processes more applications. This is just the start of Funding Year 2018, more approvals are coming. 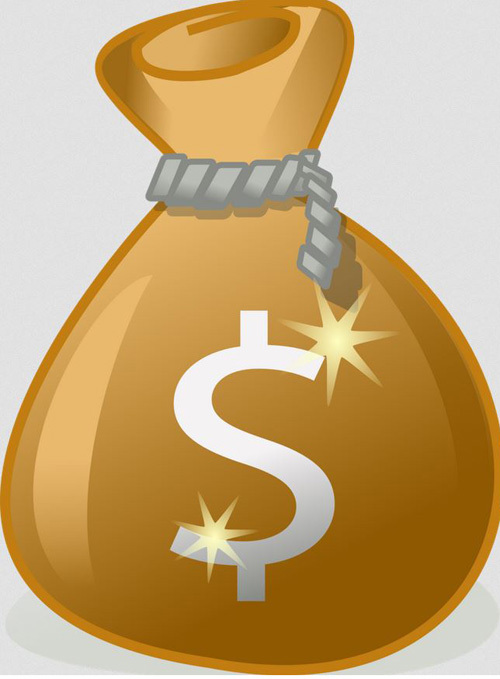 A list of libraries who have received E-rate funding is on the NLC E-rate webpage. The 2018 list will be updated as new funding waves are announced. If you have any questions or need any assistance with your E-rate forms, visit the NLC E-rate webpage or contact Christa Porter, 800-307-2665, 402-471-3107. Social Library is a regular WebJunction series featuring some of the amazing work from the libraries that we follow on Facebook. It’s a great virtual tour of how libraries are using social media to connect with their communities, promote services and programs, and engage with their patrons and fans. If you’d like to see your library featured in the Social Library series, please let WebJunction know via social@webjunction.org, or find them on Facebook. Join us for the next NCompass Live, ‘Providing Access to the Good Life for the Disabled’, on Wednesday, March 28, 10:00am – 11:00am CT.
Do you know the ADA standard for where you should place your books on the bookshelf? Do you know what kind of animals can legally be classified as a service animal? Do you know which policies you may want to look at to grant greater access to your services? You will if you attend this overview of how to best provide access to the disabled patrons in your community. The presenter is a long-time advocate for the disabled and was recently appointed as the State of Nebraska ADA Coordinator. As the ADA Coordinator, she will lead the State’s ADA Task Force and help ensure that the State’s programs, activities and services are accessible to all citizens. Presenter: Crystal Booker, ADA Coordinator, State of Nebraska. Just a reminder …. Thursday, February 22 is the deadline to submit the first form in the E-rate process, Form 470, for the upcoming 2018 Funding Year. The filing window for submitting the second form in the process, Form 471, opened on Thursday, January 11, and will close at 11:59 PM EDT on Thursday, March 22. This makes February 22 the deadline to post your Form 470 to the USAC website, meet the 28-day posting requirement for the competitive bidding process, and submit a Form 471 by the filing window closing date. However, we do not recommend waiting until the last day to submit your Form 470! If there are any issues that day, like the E-rate servers are slowed down because it is the last day to submit, or you can’t submit the form due to reasons on your end, such as illness, weather, power outage, etc., then you would miss the deadline and lose out on E-rate altogether. So, get your E-rate process started and submit your Form 470 as soon as possible! Join us for the next NCompass Live, ‘More Than a Library – a Positive Change Agent’, on Wednesday, February 14, 10:00am – 11:00am CT. This session will discuss the Millvale Community Library, a unique sustainable library with solar roof panels that was built from the ground up in 7 years, and now has a makerspace, is connected to a tea shop, and has 3 tenants above the library. We see it as our job to support our community economically, ecologically, and socially. The library is working day and night to make the Borough of Millvale a nicer place to live and learn. Presenter: Susan McClellan, Executive Director, Millvale Community Library, Millvale, PA.
You are invited to participate in a webinar to learn about the Consumer Financial Protection Bureau (CFPB)’s financial education resources on Thursday, February 22, 2018 from 2:00 to 3:00pm eastern standard time. See below for details. Many Americans are turning to a trusted source in their communities, their local public library. The Consumer Financial Protection Bureau (CFPB), a federal government agency, recognizes that libraries are a powerful and trusted community resource, and has materials specifically for libraries to use to inform their patrons about financial education. 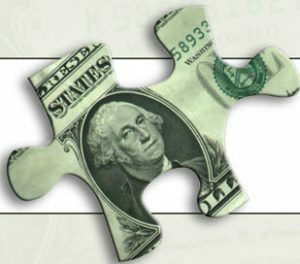 Collaborating with the CFPB makes it easy for libraries to refer your patrons to trusted sources so they can make important money decisions. You can learn more about this exciting opportunity to help empower your patrons in the financial services market through an upcoming webinar conducted by the CFPB. (Note that this webinar link will not be live until the day of the webinar). Step 2: Listen to the audio by dialing 888-795-5920 and entering participant passcode 77-58-404. Community Needs Response Planning (aka Strategic Planning) Workshops have been scheduled in locations across the state and online. What is a Community Needs Response Plan? You may remember it as the Strategic Plan required for Nebraska Public Library Accreditation. To more accurately represent the focus of the plan, we have renamed it. The process of writing the plan and the content remains the same – this is a change in name only, to better reflect why you are creating this plan and how you can use it in your community. So, do you have a plan? 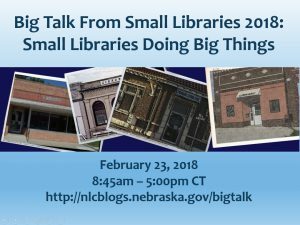 The Nebraska Guidelines for Public Library Accreditation are community-based, so libraries need to know what their communities’ needs are in order to provide appropriate library services that meet those unique needs. That’s where planning comes in! Christa Porter, NLC’s Library Development Director, will guide you through Community Needs Response Planning for your library. Public Library Directors, Staff, and Library Board Members are encouraged to attend. To register for any of these sessions, go to the Nebraska Library Commission’s Training & Events Calendar and search for ‘community needs response’. The recording of the E-rate: What’s New for 2018? online session is now available. What is E-rate? How can my public library benefit from E-rate? How do I apply for E-rate? E-rate is a federal program that provides discounts to schools and public libraries on Telecommunications, Internet access, and Internal Connections costs in order to make these services more affordable. There have been some big changes to E-rate since USAC launched the E-Rate Productivity Center (EPC). This new online portal is the main point of entry for all E-rate interactions. With your organizational account you can now use EPC to file forms, track your application status, communicate with USAC, and more. What does your public library need to know to use this new E-rate portal? In this workshop, Christa Porter, Nebraska’s State E-rate Coordinator for Public Libraries, will first cover the basics of the E-rate program and then show you how to access and use your account in EPC to submit your Funding Year 2018 E-rate application.